Stat of the day: 13%. The number of young people out of work across the globe. And the crisis will stay at this level until 2016, says the International Labour Organisation. The ILO Global Employment Trends for Youth report makes for grim reading. Since 2007, the number of young people without jobs has risen by four million, up from less than 12%. Today, almost 13% of people aged between 15 and 24 (just under 75 million) are out of work. But it is the developed countries and European Union that has seen the steepest rise in youth unemployment: it will hit 18% this year up from 12.5% in 2007. That's almost one in five young people looking for work. And the ongoing crisis in the eurozone makes it likely that youth unemployment will stay at these levels, dropping just 2% to 16% in 2016. 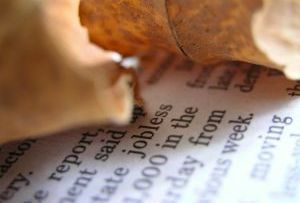 In the most recession-hit countries - Spain and Greece - youth unemployment stands at over 50%. Elsewhere in the world, the outlook for young people doesn't get much better. In North Africa, some 27.9% of youths are out of work, rising 5% since 2010 and exacerbated by the Arab Spring uprisings. In the Middle East, the youth jobless figure stands at 26.5%. Dr Ekkehard Ernst, head of the ILO’s Employment Trends Unit, warns that the current appetite for austerity is partly to blame for the increasing numbers of unemployed youths: 'These really strict austerity programmes are making the problem worse,' he says. Ernst also warns against further employment deregulations, which could make it even easier for firms to lay off younger workers.